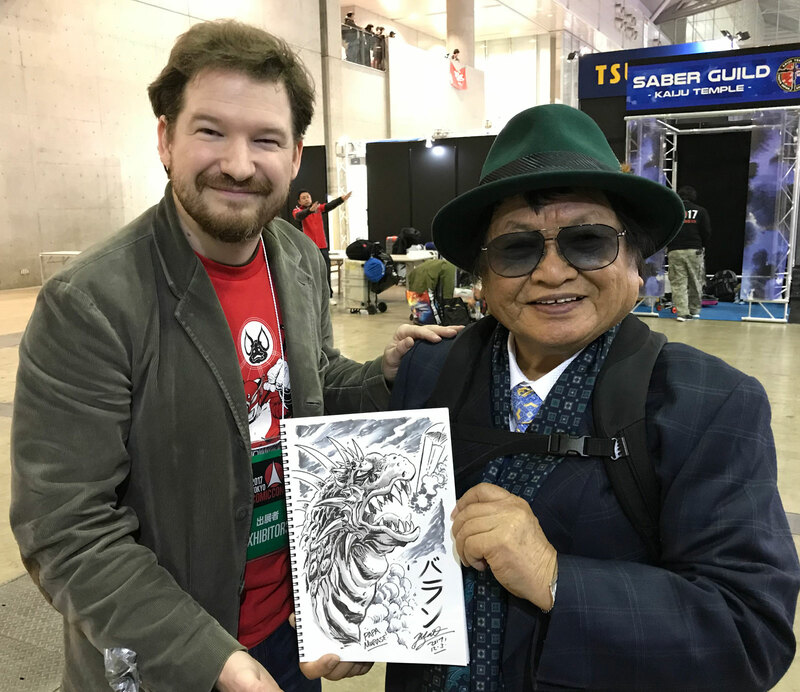 Matt Frank, pictured with Keizo Murase (right), joins Kyle to talk about his recent visit to Tokyo and a crowdfunded kaiju suit. In addition to being a kaiju artist, Matt Frank has been a frequent guest and friend of the Kaijucast. 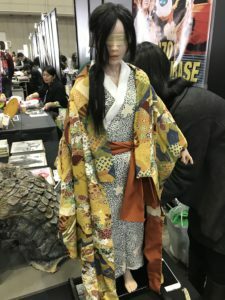 Recently his trip to Japan coincided with some pretty amazing things, including a visit with a show-era veteran kaiju suitmaker, Keizo Murase and a modern tokusatsu director, Daisuke Sato. Murase and Sato shared the details of a crowdfunding campaign that is online and running right now. 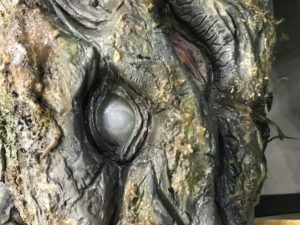 And while the details in English have been slow to emerge, Matt and I decided that the best way to spread the word about this campaign with as many kaiju fans as possible was to work it into an episode of the Kaijucast. Neither of us has any stake in the campaign, or connection with the creators, but we both really want to see this project come to fruition – and would hope that you feel the same. 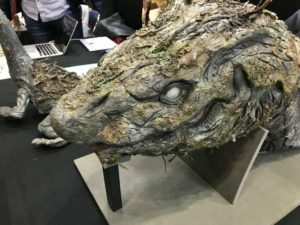 This campaign is to create the suit for Nebula, a kaiju in an independently produced film titled Howl From Beyond the Fog. 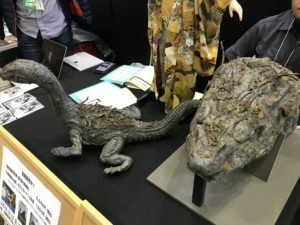 Clearly the kaiju design is really very cool – and seeing Murase demonstrate via the puppet how the actor would crawl and still look realistic really hit home for me. If you love kaiju films, tokusatsu or even just practical special effects, please help this project come to life! Big thanks to Matt for joining me and I really hope that we can welcome Murase-san here on the podcast with a congratulatory message in the future – make sure to visi t the links below! Takiri, the blind biwa player.